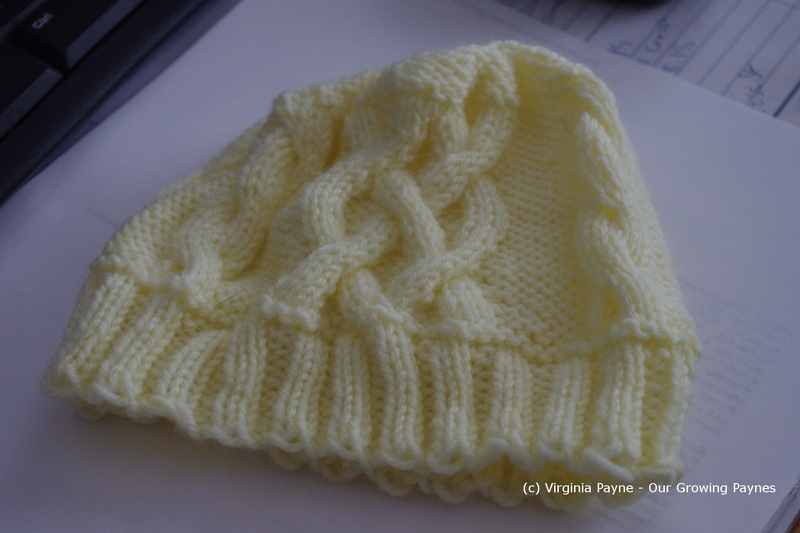 This entry was posted in Knitting and tagged baby blanket, baby hat, crafts, knitting, yarn. Bookmark the permalink. You do a great job. Coud never crochet or knit well. 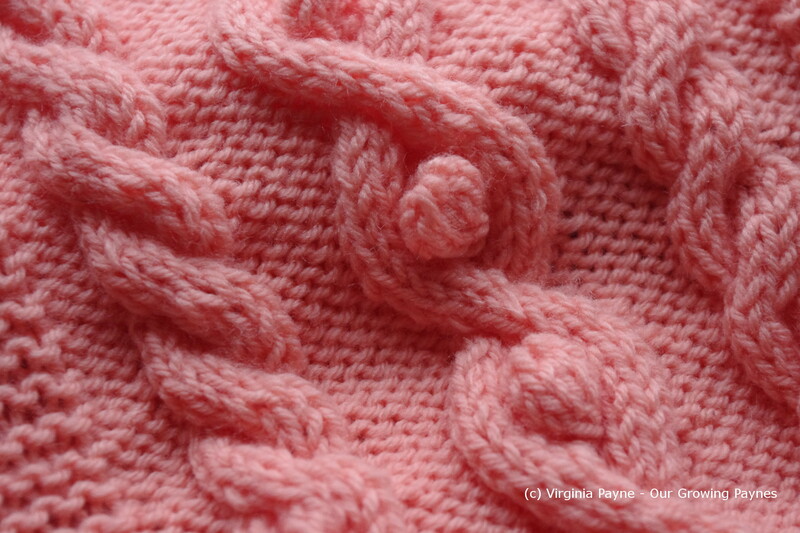 Most of it is knit and purl. And patience. That helps too. 🙂 Thanks! Lovely – there is such joy in a baby! I can imagine your dogs liking the feel of the soft blanket! Fortunately they kept off the blanket. Couldn’t keep the dog hair off though! They should be bald for all the hair they lose. Thank you! I was pleased how they came out. 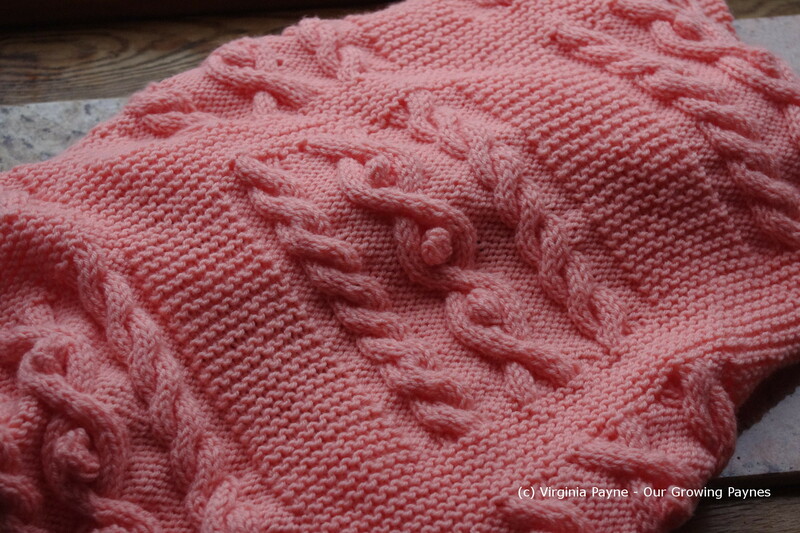 The blanket photos remind me of the pink sweater that I made for my first child. I got to wondering if soft fabrics help babies to get the cuddling that they need.